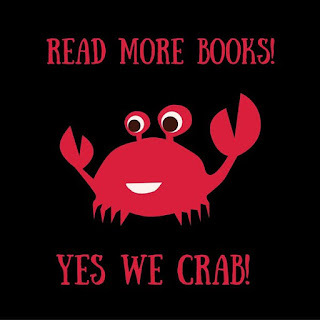 GreenBeanTeenQueen: February Reading Challenge: Yes We Crab! I really want to get back to reading for fun and reading chapter books again, but I feel so overwhelmed and I don't know where to start! Enter my wonderful friends and our February Reading Challenge-Yes We Crab! Five years ago I met these lovely ladies at ALA Midwinter: Angie, Abby, Katie, Kelly and Drea I often tell people that our fist meeting was like going to summer camp, meeting your best friend, and then having to go back home. Luckily, we get to see each other at least once and sometimes twice a year at ALA and we keep up with each other via Twitter, Email, Facebook. We are always sharing program ideas, library talk, and what we're reading. So when the others all said they wanted to do a reading challenge, we all jumped at the chance and Yes We Crab was born. It's easy to join in! All you have to do is set a goal for yourself and follow along. Post your progress on Twitter with the hastag #yeswecrab and we'll cheer you along! 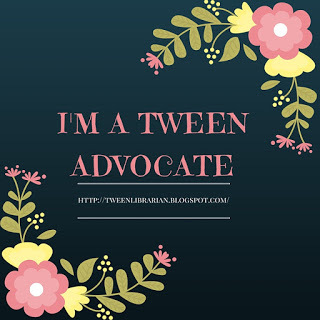 Your goal can be about reading, about keeping up with blogging-anything! My Yes We Crab Goal: Read 20 books (and yes, picture books totally count!!!!) and write a blog post at least once a week. What's your February Reading Goal? Can we do it? Yes We Crab! My goal for February is to catch up on some reading starting with books I have borrowed. I am way behind- but I also plan to read some picture books to catch up. I love picture books and they give me so much to think about. :) Good luck with your reading!